This entry was posted in Amigurumi, Crafting, Family Fun, Kids, Knitting, Loom Knitting, Looming Patterns, My Favorites, Peggin' Pages, Pets, Ravelry and tagged amigurumi, Bethany Dailey, Family Fun, Gettin' It Pegged!, gettinitpegged.com, loom knitting, loom knitting patterns, Mr. Wobbles Penguin, Penguin, Ravelry, softies, wobbles. Bookmark the permalink. 4 Responses to Mr. Wobbles Penguin Returns! Got Penguin fever? 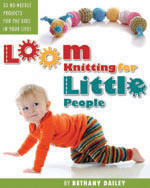 You’ll love this lil guy to loom knit up! This super cute pattern by Bethany Dailey is available on Ravelry again and may be for a limited time. Hurry to get your cuddly pattern. HI Bethany! Been away from looming since the first Mr. Wobbles, due to family responsibilities andmajor computer problems. But, by June, I hope to be making my looms smoke with yarn friction. Just wanted to check on Mr. Wobbles. Has the pattern changed any since the original? I have him in my notebook and want to make another one. May make Mrs. Wobbles.